Science is often all lab coats and peer-reviewed studies, but sometimes it can make for a beautiful photograph too. The winners of the third annual Royal Society Publishing photography competition have just been released, showcasing the most beautiful and scientifically-fascinating images from the world around us. 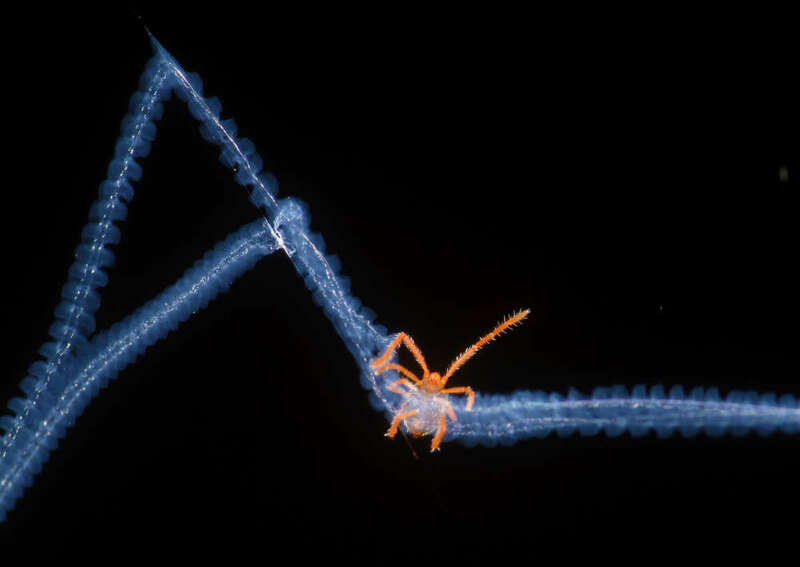 The top prize was snapped up by Peter Convey, a polar ecologist with the British Antarctic Survey, for his photograph taken in 1995 of the icy sugar cube formations of Antarctica as a plane flies overhead (image below). The photo also won the top prize in the Earth Science and Climatology category. He added: “Even today, very few biologists have had chance to visit such inland areas across the continent, yet the biology we find there has driven fascinating new insights into the biogeography and antiquity of the few terrestrial groups that survive – in short, they have been there tens of millions of years or more, surviving throughout multiple glacial cycles where we previously thought all life would have been wiped out. Such findings are driving entirely new cross-disciplinary interactions between biology, glaciology, and geology in trying to better understand the evolution of Antarctica." The contest received over 1,100 entries from across the world – the highest amount of entries yet for one of their competitions. Among the other runners-up, there were beautiful photographs taken of spewing lava, the invisible world of tiny insects, and some shocking-green frogs having a hug. Here are some of the runners-up from the categories of Astronomy, Behaviour, Ecology & Environmental Science, and Micro-imaging, along with a few "honorable mentions" that the judges felt stood out from the crowd. Enjoy! Astronomy Winner: "Lunar spotlight, South Pole, Antarctica" by Dr Daniel Michalik/School of Biosciences, University of Kent. Ice crystals suspended in the atmosphere create a rare optical phenomenon: a light pillar underneath the Moon. The cold, dry atmosphere at the Geographic South Pole favors this and similar phenomena, as they are much more often seen here than in the non-polar regions. Behavior Winner: "Respiro" by Antonia Doncila/Edinburgh University. 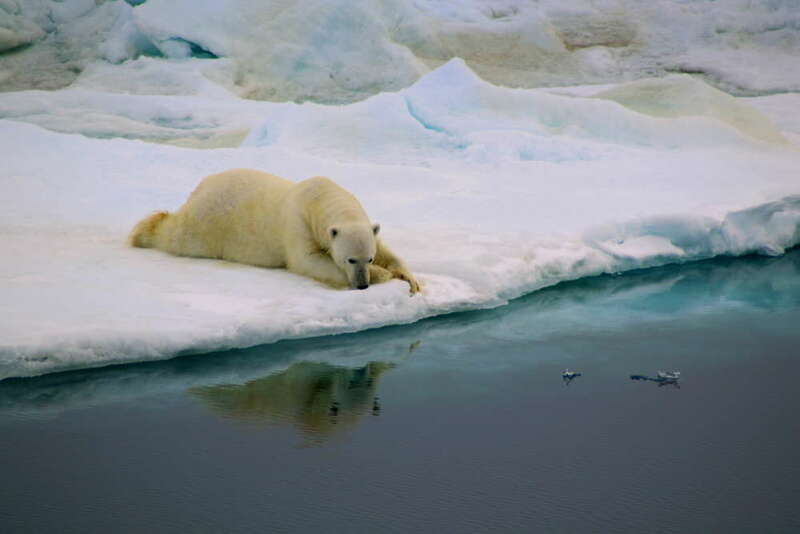 A lucky polar bear finds an ice sheet to rest on. His gaze into the water represents the product of our societal wrongdoings. It is also a symbol of hope because what has melted can become frozen again. 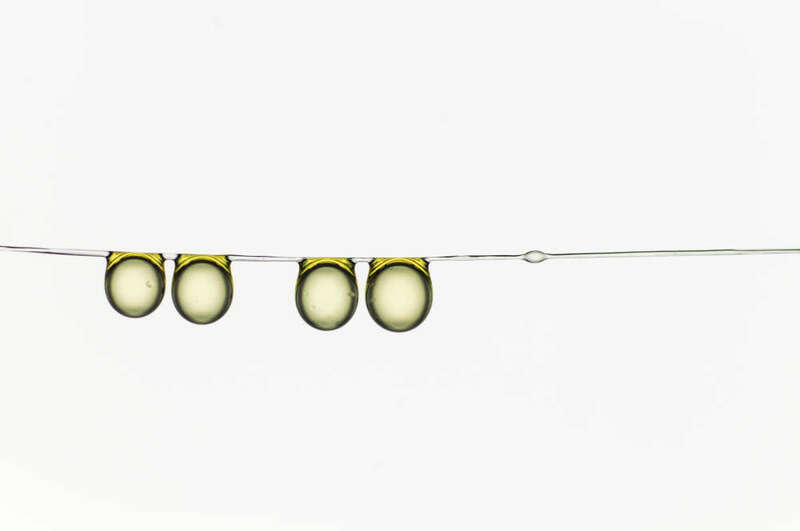 Micro-imaging Winner: "Olive oil drop family hanging together" by Hervé Elettro/University Pierre and Marie Curie (Paris, France). Surface tension, the ability of a fluid to oppose deformation, allows droplets to swallow any fiber made slack under compression, thus tightening the web against natural elements. A first step in the understanding of this mechanism was to use a model system for capture silk: drops on a thin soft fiber. The hanging olive oil drop family was born.